A few years ago, a Punjabi poet and acquaintance of mine, dismissed the term “Shahmukhi” as something that did not (or should not) exist. He has since anointed it the “Lahori” script, reasons of which I am not sure, other than that Punjabi may be written in the script in and around Lahore. The term “Shahmukhi” means “from the mouth of the king (shah).” Which king is a matter of conjecture. One may surmise “Shahmukhi” sprang from the mouths of the Muslim rulers of the Punjab or from Ranjit Singh who maintained the use of Persian in his court and the use of its nastalliq script style, the style most commonly used for Shahmukhi. Unlike the Gurmukhi and Devanagri scripts, Shahmukhi does not constitute a separate script. 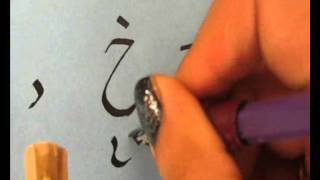 We can define Shahmukhi instead as the name given to the Perso-Arabic script when used to write Punjabi, including several letters for sounds found in Punjabi. The term itself is rather quaint and seems to have deliberately been coined so as to have Shahmukhi play partner to Gurmukhi. But Shahmukhi exists; it has a name and has been naturalized into Punjabi. Those who consider Gurmukhi to “be” Punjabi do Punjabi a disservice. For Punjabi has not only the facility of Gurmukhi, but also the elegance of Devanagri and the beauty of Shahmukhi. From whose mouth then did the term spring? Perhaps not from a king, but from a Punjabi so let it spring some more! You are invited to the launch of Skeena, a novel by Fauzia Rafique. Skeena is the first Canadian novel to be launched in English and Punjabi. The launches will take place this weekend in Surrey and Vancouver on April 9 and April 10. The launch in Surrey on April 9 (2 – 4 PM, Newton Branch of Surrey Public Library, (604) 598-7400), presents the novel in both Gurumukhi and Shahmukhi (Perso-Arabic) scripts. 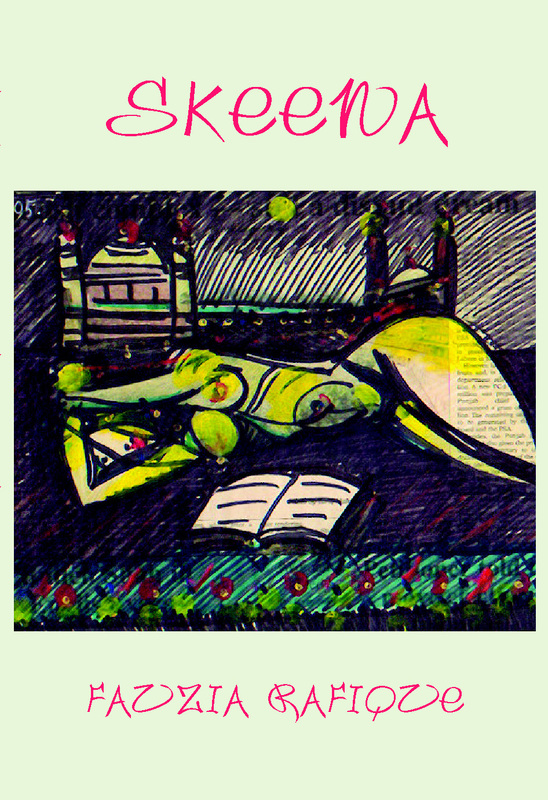 Poetry Readings by Greek Canadian Surrey-based Author and Publisher Manolis to launch his 12th collection of poetry ‘Vernal Equinox’ (Ekstasis Editions, Victoria 2011). Manolis will also present a selection of his translation of Yannis Ritsos, the Star of Lenin, Poetry Prize Award winning Greek poet. The launch of English edition of Skeena will take place in Vancouver on April 10 (2 – 4 PM, Hellenic Community Center, 4500 Arbutus. Tel: 604-266-7148). Poetry Readings by Manolis, a Greek Canadian author who has published 12 collections of poetry, two novels and numerous pieces of prose in Greek and English, will launch his latest poetry collection ‘Vernal Equinox’, Manolis will also present a selection of his translation of Greek poet Yannis Ritsos who was unsuccessfully nominated for a Nobel Prize nine-times but was not awarded it because of his progressive views. Skeena is the story of a Muslim Canadian woman spanning thirty years of her life where she explores her changing environments, religious and cultural influences, and intimate relationships. Told by Skeena herself, it is a rare glimpse into the mind and perspectives of a Muslim woman. With the utter simplicity of style and expression, and a plot immersed in gripping realities, Fauzia has created a novel that is hard to put down even when it explodes some deep-rooted myths. Based in the dynamics of Muslim Punjabi culture, the story begins in a village in Pakistani Punjab in 1971, takes us to Lahore in 1981, Toronto in 1991, and then brings us to Surrey in 2001. Skeena’s story involves Punjabi Canadians from both India and Pakistan. In this deeply human and heartwrenching novel, loneliness and loss are felt, but Rafique provides gentle humour and a great deal of hope. In Skeena, Rafique teaches us about life and love. You will find yourself thinking about Skeena long after you have finished reading. Fauzia Rafique’s novel Skeena is written differently than the others, the author has begun and completed this work with the full witnessing of the time. Skeena is a novel on patriarchy that never uses this word. Fauzia Rafique is a Vancouver-based South Asian Canadian writer of fiction and poetry. 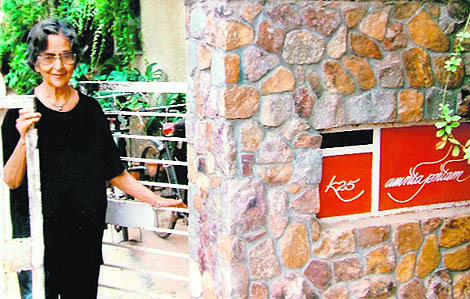 Her English and Punjabi writings have been published in Canada, Pakistan, and on the web. Print titles include the Punjabi publication of Skeena (Lahore 2007) and an anthology Aurat Durbar: The Court of Women: Writings by Women of South Asian Origin (Sumach Press, 1995). 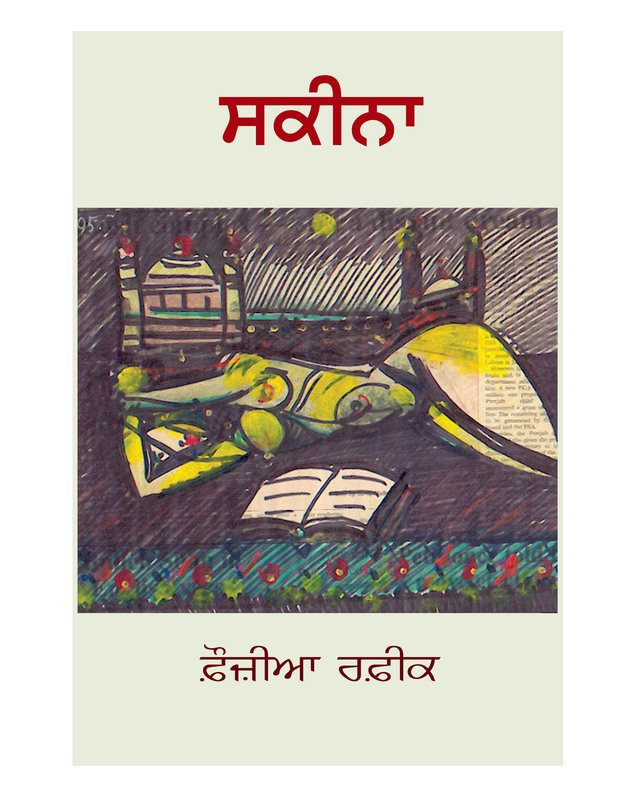 A selection of her English and Punjabi poetry, Passion-Fruit/Tahnget-Phal will be out in 2011. Contact Libros Libertad for details or to arrange appearances, events or media opportunities. In the past couple of months, two national conferences on Punjabi literature have been announced in Canada, one to be held in Toronto in the Summer of 2009 and the other in Ottawa on the 16th tomorrow. I received information for both but could not get much out since the organizers had sent circulars in Gurumukhi alone. First, it reminds me of my own inability to read Gurumukhi script, and prompts me to finish learning it in haste to overcome this ‘diversity barrier‘ of being a Punjabi. Second, and at the same time, it gives me the realization that this is not all that needs to happen to develop Punjabi language and literature in Canada. Literary conferences are a great way of bringing people together to share new work, discuss issues faced by literary communities, and to reach consensus where needed. I am positive that the two conferences scheduled in Toronto and Ottawa plan to, and will, do that. However, just as i have to keep impressing upon some White Canadians that the term ‘Canadian’ does not stand only for a ‘White Canadian’ person; so, i need to keep suggesting to some Punjabi event organizers to not use the term ‘Punjabi Literature’ to mean ‘Punjabi Gurumukhi Literature’ or ‘Punjabi Literature in Gurumukhi script’; and, to not use the word ‘Punjabis’ only for ‘Sikh Punjabis’ or for ‘Punjabis of Sikh family origin’. I do that not just because i am a non-Sikh Punjabi and can not read or write Gurumukhi but also because 60% of Punjabis the world over are NOT of Sikh orientation, and most of the published Punjabi literature is NOT written in Gurumukhi. Indeed, the first Punjabi literary work was written in Shahmukhi or Persio-Arabic script by a Muslim Punjabi named Baba Farid (1173-1265). – For Punjabi literature conferences that are catering only to Punjabis of Sikh orientation, please write ‘Gurumukhi Punjabi Literature’ instead of just ‘Punjabi Literature’. – To claim that an event is dealing with ‘Punjabi literature’, a fair representation of Punjabi literary works in Gurumukhi, Shahmukhi and Devnagri must take place. The same holds true for representation of Punjabi authors of Christian, Hindu, Muslim and Sikh orientation; and, of corresponding communities and issues. Before i finish, there are lighter things to discuss since the two conferences are generating some activity in areas where Punjabi literary communities have flourished; and, that includes Surrey and Vancouver, the (Lovely) Lower Mainland. Here, i want to tell you The Story of Four Friends, three of whom are on a committee delegated with the task of deciding who is/was going to present papers on various issues of literary importance for one of the two conferences. The Three members of the committee met, and decided to send three papers to the conference from BC, and then proceeded to elect themselves as the three presenters. The story does not finish here even when it is a powerful end. The Fourth friend objected to it, and in return, was awarded with a fourth paper and another space for presentation at the conference. I have objections to the process where presenters were ‘agreed upon’ and papers were ‘allocated’ by a three-member committee to its own three members. In other words, the three decision makers who were to send three representatives of BC Punjabi literary communities to a conference in Eastern Canada, ended up electing each other for representation by awarding the three papers to themselves. On top of that, the objections raised by the Fourth friend were not based on the critique of the process but spoke to the exclusion of an individual and another denominator; and so, was readily satisfied and silenced upon receiving the hand out. My problems are with the process and not the people. In my view, all the four people well deserve to be at the conference to present their work and views but not in this way. Next time, please get others to nominate you or at least resist being the sole membership of a self-nominating decision-making committee. As well, the first three and the fourth presenter all write in Gurumukhi, and all hail from Punjabi Sikh community. This in itself would be misleading for the participants of the conference in the East as it gives the impression that there are no Shahmukhi or Devnagri Punjabi writers in BC or that there are no Muslim, Hindu or Christian Punjabi writers in BC. My four friends are well aware that that is not the case. If the purpose of the two conferences is to develop Punjabi language and literature than the conferences must be way more inclusive in representation than they are now or have been in the past. In this, there are reasons other than the development of Punjabi language and literature that may help us to become inclusive. It is inevitable that public funds are accessed to organize national and international literary and cultural events, and because of it, the organizers and decision makers of such events must take responsibility to represent in diversity the communities they undertake to represent; and, to not view and define Punjabi communities in Canada from the standpoint of personal or single-group interests. There is hope that the Punjabi Literature Conference in Ottawa tomorrow will address these issues of diversity in Punjabi language and literature; and, will decide upon a policy of outreach to and inclusion of Punjabi writers of all scripts, gender, abilities; and, of diverse religious, social and economic backgrounds. I must also stress that such discrepancies are found in all communities where a section has more power or influence in relation to others. There are similar scenarios in Punjabi Muslim communities in Pakistan where such events are organized without assuring rightful representation, for example, of women, gay people, writers in rural areas, and non-Muslim Punjabi writers. Also, living in Surrey (12.67% South Asians) for the past decade, i can not help notice the activities of organizations such as Surrey International Writers’ Conference (SIWC). Over 25% of Surrey’s ‘visible minority’ population is South Asian (Punjabi Sikh majority) yet the representation of Punjabi and South Asian writers in the SIWC has been none or negligible. See the presenting authors’ list for the SIWC 2008. 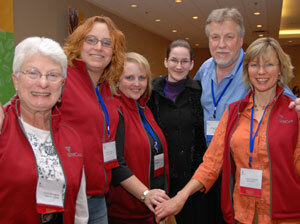 Surrey International Writers Conference (SIWC) sports an all ‘white’ organizing team in a multicultural city (46.1 ‘VM’), and year after year, produces a conference promoting English language writers of Anglo-Saxon origin while using public funds endowed to it by Surrey Board of Education through its Continuing Education program. I wonder if the decision makers at Surrey Board of Education are aware of Surrey demographics, and if the mandate of the Board does include equality of representation when allocating public funds for literary and cultural development of the people of Surrey. Also, the SIWC Team may not be aware of literary groups and organizations of Surrey Punjabi writers that are operating here for over thirty years, and of the fact that Surrey South Asian communities do have published authors in them. If my expectations are unrealistic, the situation needs clarification from the SIWC, Continuing Education program and Surrey Board of Education. Failing all else, my usual suggestion would be to at least change the name if not the essence of the Conference. Instead of just ‘Surrey International Writers’ Conference’ (SIWC), it could be ‘Surrey International White Writers’ Conference’ (SIWWC) or ‘Surrey International White English Writers Conference’ (SIWEWC). I will not worry about the increased length of the proposed names and their abbreviations as to my estimation, it may not require much additional Continuing Education funding to implement a name change. Modern Punjabi Literature at UBC: A glass half full! Yes, a glass half filled with an invigorating and inspiring drink when it could as easily be brimming with it; despite falling short on the representation of over one half of Punjabis, and Punjabi women, it was still an important landmark in the development of Punjabi literary community. The UBC Conference on Modern Punjabi Literature this past weekend was a powerful mix of literary criticisms, academic observations, poetic expressions and cultural activisms. So when the next morning, i was still grappling with the overwhelmingness of this pleasant experience, Amardeep Singh of Lehigh University had already written and published his Notes From a Punjabi Conference in Vancouver. And so, soon after meeting Amardeep at the Conference, i was happy to again experience his crisp, observant and ‘positive-interventionist’ presence through his blog, and it did bring things in perspective for me. The discussions at the Conference were initiated by Sabina Sawhney of Hofstra University with her paper on Punjabi/Sikh identities where some of the points made by her led to issues put forward by Sadhu Binning about Canadian Punjabi literature . Though each paper presented and every thought expressed was valuable to me, I am most appreciative of ideas that tackled the work of individual writers because though we may find a sizeable body of work on Punjabi classical writers, there is a dearth of criticism on modern Punjabi writing. In that, we had Amritjit Singh of Ohio State University on “The Generational Challenges of Progressivism in the Poetry of Gurcharan Rampuri and Sadhu Binning“; Rana Nayar from the Punjab University on “Narratives of Dispersal: Stories of Raghbir Dhand” and “The Novel as a Site of Cultural Memory: Gurdial Singh’s PARSA“; and, the views expressed by UBC students of Punjabi on Ajith Kaur. The organizers had created a safe environment where giving and taking criticism was the way to find solutions to various problems faced by Punjabi cultural and literary communities in Canada and elsewhere. “The Uncomfortable Residue of Dis-location: Fragment, Hybridity, and Panjabi Literature(s) in Canada” by Harjeet Grewal (University of Michigan), “The Cultural Politics of Crossing Boundaries” by Anne Murphy (University of British Columbia), and “Secular Sikh Writers” by Amardeep Singh pointed to some groups and individuals that are attempting to extend existing cultural, social or religious boundaries. The Student Panel, Writers Panel, and Punjabi Poetry Readings were the highlights of this weekend of inspiration and togetherness. Though Pakistani side of the Punjab, and the literature created by Pakistani Punjabi writers did not feature in any area of this conference on modern Punjabi literature yet the problems, needs and barriers faced by us are the same. The sad truth of the current state of Punjabi literary communities in India and Pakistan, in Canada, and in United States is apparent where we are swamped by the challenges of our immediate situations while our totality is being annihilated by our ignorance, and sometimes, our denial of each other. Let us see who we are then. We are Nanak, Farid and Kabir; Madhulal Hussain, Waris and Bullah; Amrita Pritam, Najm Hosain Syed and Ashu Lal Fakir; We are Ustad Daman, Gurdiyal Singh and Pash, Amarjit Chandan, Baba Najmi and Ajmer Rode; Mushtaq Sufi, Amarjit Pannu and Neesha Dosanjh Meminger; Nilambri Singh Ghai, Ahmad Salim and Sadhu Binning; We are Parveen Malik, Surjeet Kalsi and Baljinder Dhillon; more, and many more. As was pointed out by presenters and participants from time to time, modern or classical Punjabi Literature is not limited to the writings of Sikh writers of Punjabi language; rather, it includes works of writers of all religions who write Punjabi maaNboli whether in Gurumukhi, Shahmukhi and Roman scripts; who live in India, Pakistan, Canada and elsewhere. As well, it must include works of writers of Punjabi origin using languages other than Punjabi because a literature is not just the keeper of a language but also of the culture and diversity of its people. In other words, Punjabi literary community must be represented in its wholeness in Punjabi departments, language courses, educational seminars and conferences, and in text books. I was happy to note that the structure put in place by Sadhu Binning, Anne Murphy and others here at UBC already contains this capacity. The faculty members seemed proficient in both scripts; most students were aware that Punjabi uses two scripts; some senior students were able to read books in both scripts. That in itself is gratifying and encouraging; so, i came away from the Conference with the hope that steps will be taken to bring a sense of balance to our persepectives on and appreciation of Punjabi literature by assuring full representation at various levels of cultural and educational activity at UBC and in Canada. Taking my own advice, i would like to express gratitude to Anne Murphy for the wonderful work she has accomplished for Punjabi in Vancouver by adding a title to an existing name given to her by Punjabi Sikh community so that it reads ‘Bibi Anna Kaur Murphy’ instead of ‘Anna Kaur Murphy’. The imperceptible change from ‘e’ to ‘a’ in the first name is optional but highly recommended as it will help create a beat that may appease all the diverse communities of Punjabi-rhythm freaks. Another post will soon follow on the development ideas and strategies put forward by Sukhwant Hundal, Ajmer Rode, Darshan Gill, Baljinder Dhillon, and the Student Panel.